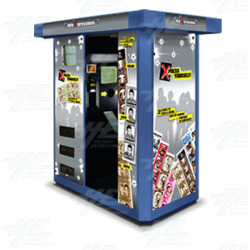 Fantasy Entertainment's Photo Xpressions booth is a fun and vibrant photo booth which users of all ages will love. Users can go into the booth by themselves or take someone with them, and take great customisable photos to cherish as keepsakes, or, give to friends or family. Shots are customisable with graphics and backgrounds, etc. These include: -Full graphic coverage surrounds 3 or 4 photos -Portrait and landscape layouts -Choice of color, black + white or sepia The booth provides an interactive user experience that will be fun for all users, and the photo souvenirs are easy to divide: they come as two strips - just tear and share! The booth provides an interactive user experience that will be fun for all users, and the photo souvenirs are easy to divide: they come as two strips - just tear and share!